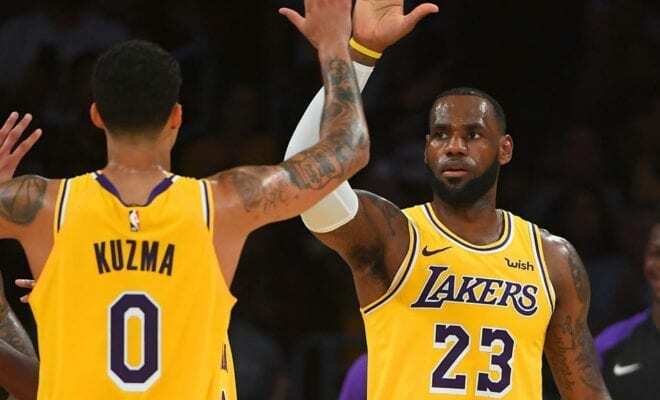 LeBron James is starting to figure out his young Lakers teammates and one guy he seems to have a particularly good relationship with is Kyle Kuzma. The get on well off the floor – with Kuzma being the first Laker to call LeBron after he signed with LA – and their on-court chemistry is building too. 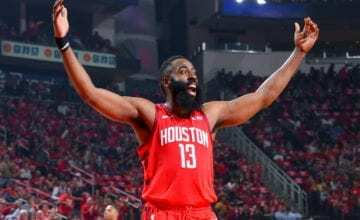 When asked about his young teammate on Sunday night, James said he’d been developing his relationship with Kuzma well before becoming a Laker. “Me and Kuz been talking even when I was in Cleveland,” James said. LeBron undoubtedly knew he would become a Laker a long time before he signed on the dotted line, and it wouldn’t be a stretch to think he put extra effort into helping the budding young gun for that very reason. Kuzma has looked particularly solid lately, putting up 17 points, 7 rebounds, 4 assists over his past four games, with the Lakers winning their past three.